CAPE CANAVERAL, Florida -- The Royal Navy nuclear submarine HMS Vengeance is alleged to have accidentally launched an unarmed nuclear missile at the U.S. mainland while conducting a test off of Florida's Space Coast in June 2016. According to the Sunday Times, the British government kept the mishap a secret before a crucial Parliamentary vote regarding the island nation's nuclear program. The British Defense Ministry did confirm that the Vengeance "... conducted a routine unarmed Trident missile test launch ..." but British Prime Minister Theresa May repeatedly dodged answering whether the missile went awry towards the U.S. mainland in a BBC interview this past weekend. The Royal Navy VANGUARD-class and U.S. OHIO-class nuclear submarines carry the Trident II D5 missile built by Lockheed Martin. In March 2016, a U.S. OHIO-class submarine launched three of the missiles marking the 158th, 159th, and 160th successful test flights of the Trident II D5, according to the U.S. Navy. In August 2016, the USS Maryland launched the 161st successful test flight of the Trident II D5, according to Lockheed Martin. 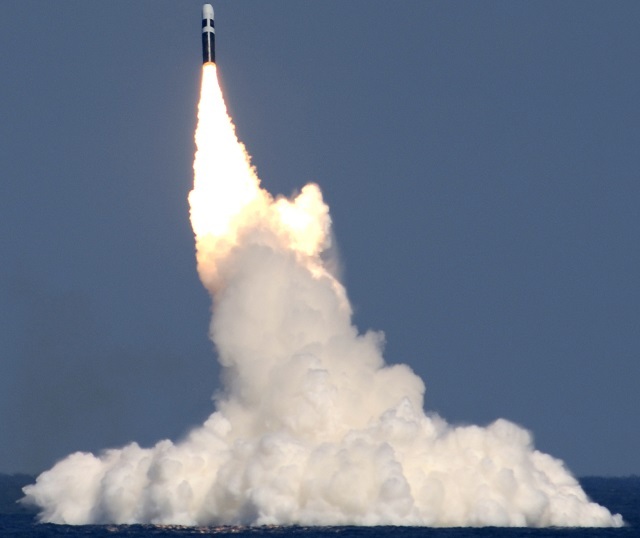 While the British government may remain tight-lipped about its June 2016 test launch, it appears that no other test launches of the Trident II D5 were deemed 'successful' between March 2016 (the 160th successful test) and August 2016 (the 161st successful test). In this YouTube video, the HMS Vengeance can be seen coming into the U.S. Navy's Trident Turning Basin in Port Canaveral, Florida in June 2016 where nuclear submarines are fitted with unarmed missiles that are later tested off-shore in the Eastern Range that extends from Cape Canaveral Air Force Station to 90 degrees east longitude. The long-range missile test trajectories historically extended southeastward from Florida across the Atlantic and within the range of a series of U.S. tracking stations located in the Caribbean, and then towards Ascension Island off the coast of Africa. However, improvements in satellite tracking technology over the years has begun to render these ground tracking stations less necessary.